A white police officer from Chicago who shot and killed black teenager Laquan McDonald in October 2014 has been found guilty of second degree murder. "Maximum, whatever the maximum sentence is, that's what we want to see." Jason Van Dyke shot the 17-year-old 16 times. McDonald was pronounced dead at hospital. The shooting sparked widespread protests when dashcam footage, from a nearby car, was released a year after the incident. 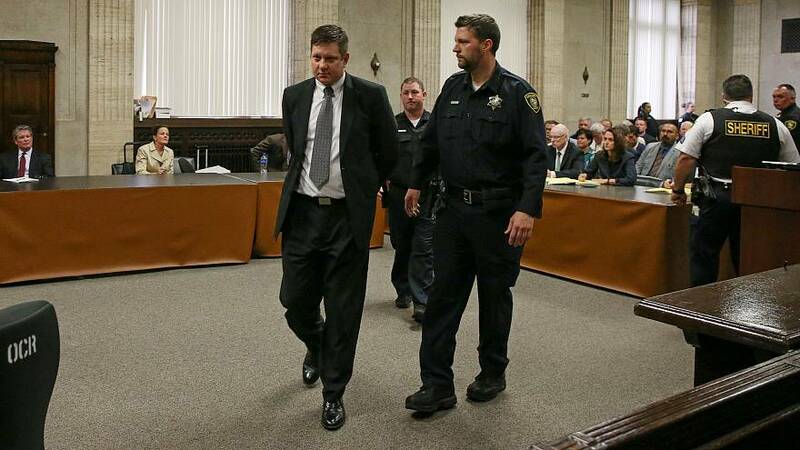 Although the jury found him not guilty of official misconduct Van Dyke is likely to spend at least six years in jail. On Friday (October 5), campaigners said Van Dyke's sentence was too lenient. "Murder suffices. Period," said community organiser William Calloway after the verdict. "Anything less than murder for what Jason Van Dyke did to Laquan McDonald would not be justice. Maximum, whatever the maximum sentence is, that's what we want to see." But prosecutors say it's the right result and justice has been done. "This is a gratifying verdict," Special Prosecutor Joseph McMahon told reporters. "We are all pleased that we have been successful in our pursuit for justice for Laquan McDonald, for his mother Tina and for their family and friends. Other officers have also been charged, accused of covering up the shooting. They'll be tried in a few months. The city prepared for the possiblity of widespread protests but for many of those who've been campaigning for the past four years there was celebration rather than upset.